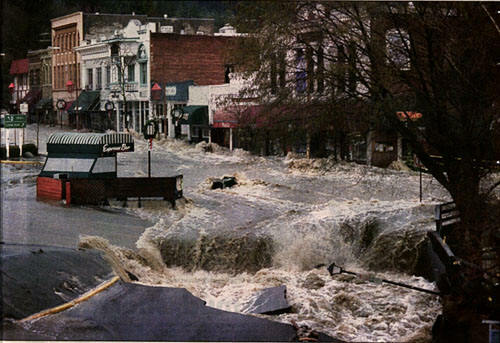 Created in 1999 after the community experienced a severe flood on New Years day 1997, Ashland’s CERT program has trained over 850 volunteers to be better prepared to survive in a disaster making Ashland’s CERT program one of the most successful in the nation. CERT has been mobilized over thirty times for activities ranging from managing emergency shelters to evacuating residents during wild fires. CERT's core competency is "preparing our community to endure disasters." Ashland CERT can attribute its success to Ashland's culture of community and the investment the people of Ashland make in organizing an amazing group of volunteers. The partnership of Ashland Fire and Rescue has also contributed significantly toward the success of Ashland CERT. CERT is funded by Ashland taxpayers and federal grants. The city provides one fulltime employee, the program coordinator, and an office in Ashland Fire and Rescue Station 1. Federal grants provide funds for training, disaster preparedness and awareness, exercises, and essentially all the activities the CERT program undertakes. CERT's federal grants come from Department of Homeland Security grants via Oregon's Office of Emergency Management (OEM). Our program falls under the organization of Jackson County's Citizen Corps Council. To date, CERT has acquired federal awards totaling over $224,000. Ashland CERT can be characterized as your Homeland Security dollars at work.